How to build Tor from source and install it so you can proxy your web browsers through it. configure: error: Missing libraries; unable to proceed. and install the command line tools by clicking install on the prompt. Multiple SQL injection vulnerabilities in Simple Machines Forum (SMF) before 1.1.15 and 2.x before 2.0.1 allow remote attackers to execute arbitrary SQL commands via vectors involving a (1) HTML entity or (2) display name. NOTE: some of these details are obtained from third party information. We added our own login technology with SSL encryption. With this encryption, passwords will not be saved in our forum database. This means this information cannot be compromised. SSL has nothing to do with where or how the passwords are saved. I can only assume that they mean the passwords are hashed and at best stored in a different database. However, none of this means that they cannot be compromised in an attack. A few days ago we informed you that the AVAST forum was attacked and because of that, we took the forum offline to improve its structure and security. It is now back up and more secure. We decided to rebuild the forum on the same software platform we used before, but we enhanced the security on our side. We added our own login technology with SSL encryption. With this encryption, passwords will not be saved in our forum database. This means this information cannot be compromised. The forum is an extremely important part of our business. Our members not only solve problems identified by other members, but give us valuable insight that helps us improve our business and our products. We are extremely grateful for your participation, and we hope that you will rejoin the forum and continue providing your unique insight. To start using the new AVAST forum, please log in at this link. If you forgot your my.avast account password please change it at link. If your MyAvast password is the same as your old forum password, please reset your password and create a new one. Again, we regret any inconvenience this may have caused you and thank you for your contributions. 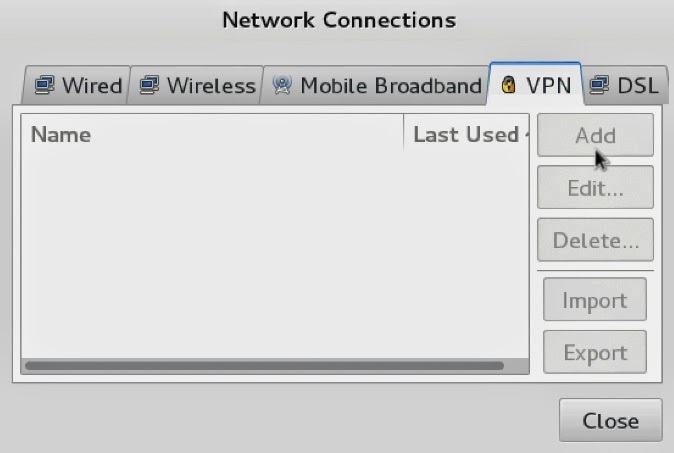 In Kali Linux the VPN options are grayed out because it is missing some of the required packages to enable Virtual Private Networks in Network Manager. 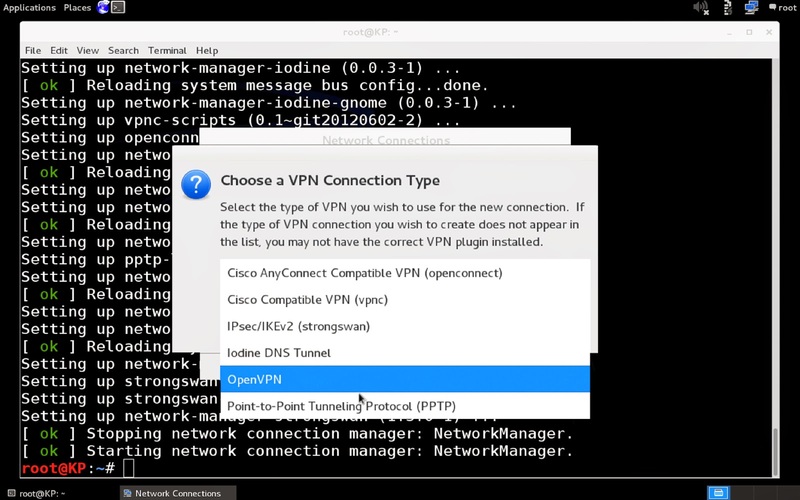 This quick video shows you how to install the missing packages in Kali so that the VPN option is no longer grayed out. You can omit the last two packages (network-manager-iodine & network-manager-iodine-gnome) if you'd like as they aren't needed by the average user. To help ensure customers' trust and security on eBay, I am asking all eBay users to change their passwords. Here's why: Recently, our company discovered a cyberattack on our corporate information network. This attack compromised a database containing eBay user passwords. What's important for you to know: We have no evidence that your financial information was accessed or compromised. And your password was encrypted. Go to eBay and change your password. If you changed your password on May 21 or later, we do not need you to take any additional action at this time. Changing your password may be inconvenient. I realize that. We are doing everything we can to protect your data and changing your password is an extra precautionary step, in addition to the other security measures we have in place. If you have only visited eBay as a guest user, we do not have a password on file. If you used the same eBay password on any other site, I encourage you to change your password on those sites too. And if you are a PayPal user, we have no evidence that this attack affected your PayPal account or any PayPal financial information, which is encrypted and stored on a separate secure network. As always, we have strong protections in place for both buyers and sellers in the event of any unauthorized activity on your account. We are applying additional security to protect our customers. We are working with law enforcement and leading security experts to aggressively investigate the matter. Here's what we know: This attack occurred between late February and early March and resulted in unauthorized access to a database of eBay users that includes customers' name, encrypted password, email address, physical address, phone number and date of birth. However, the file did not contain financial information. And, after conducting extensive testing and analysis of our systems, we have no evidence that any customer financial or credit card information was involved. We also have no indication of a significant spike in fraudulent activity on our site. We apologize for any inconvenience or concern that this situation may cause you. As a global marketplace, nothing is more important to eBay than the security and trust of our customers. We know our customers have high expectations of us, and we are committed to ensuring a safe and secure online experience for you on any connected device. Kali Linux uses a version of OpenSSL that is vulnerable to the heartbleed attack. Your ram could be dumped as you use a terminal tool to connect to a malicious server. Kali hasn't updated their repositories to include the updated version of OpenSSL yet, so I will walk you through the process of installing the updated version. In this video I show you how to get and use Slowloris to DOS (Denial of Service) websites and servers from a single computer or even a smartphone. This is a very simple attack to use and it can be ran through Tor or other proxies as it doesn't require very much bandwidth at all. This video also walks you through how to setup an Apache server in Kali Linux to test the attack on. 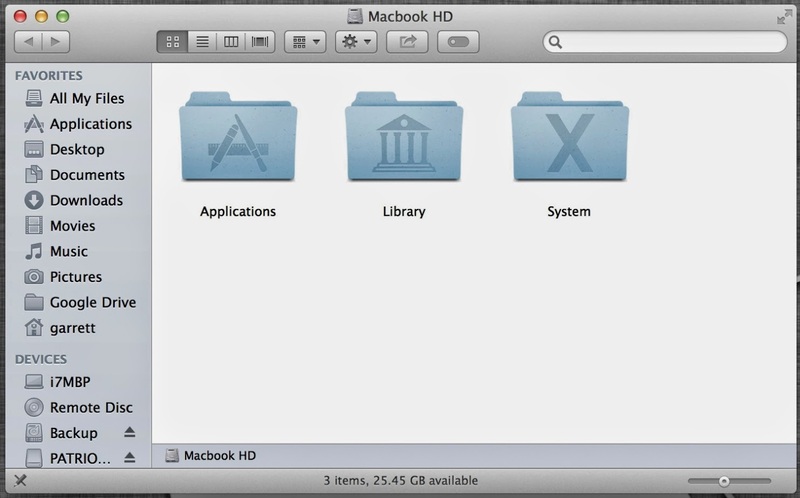 A bug with the recent OS X 10.9.3 update causes the Users folder to no longer be available in Finder and some apps. There are a few ways to fix this, but the simplest one that persists after reboot is to create an AppleScript and have it load on login. This video will walk you through a couple fixes including a very simple fix that will work after you reboot. start your computer with Alt + CMD + P + R in order to do a PRAM reset. A method I don't recommend for now. I'm not interested in social media, at least not for any of the reasons that most people are. I do enjoy the way sites use social manipulation to hook you into actively using their site. With that in mind, and having heard a great deal about how myspace.com was being recreatted/rebrandded and how much money they were spending on advertising alone ($20 Million, I believe,) I couldn't help but take a peek. 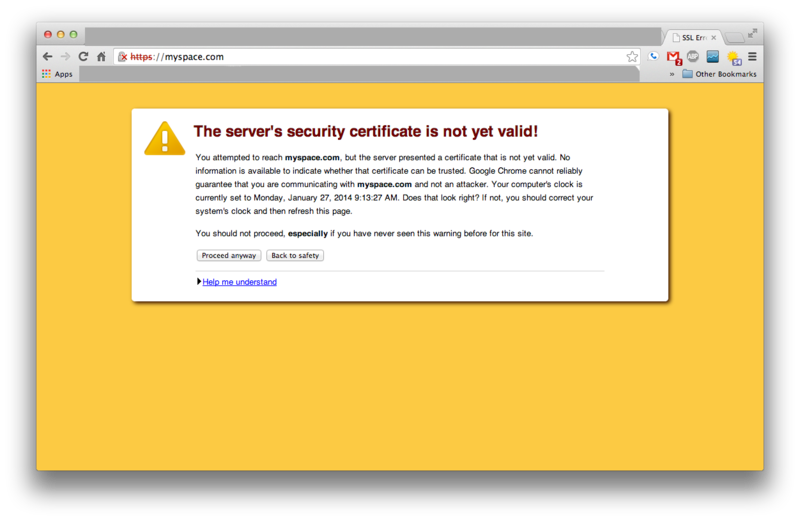 I briefly looked at the cert, it looked fine except for the obvious not valid before date was set to the next day. I don't think this was anything malicious, nor an error on my side. For those who don't know, the vast majority of the incidents of this type of error is due to the end user's clock being incorrectly set to a time before the date on the certificate. I proceeded and everything seemed as you would expect. I have since revisited and looked at the cert, which seems to have been issued years earlier, so my guess is it was just a server misconfiguration. If anyone knows or has a better idea I'd like of know. At the time it wasn't my intent to look into the matter so I didn't research any further.